A lot of questions roll in and fill my email and social media IM about what parts I recommend/like. I have been blessed with having first hand experience with some of the most popular and custom AR15 parts in the industry. The question becomes if I was going to build an AR15 from raw parts, what parts would I select if I did not want to have any problems with the build either functionally or during the build process. These recommendations are in no way saying other parts are not great or don’t work, they are just my preference based on different intents and this or that little problem during a build. Forged Receivers - For the price and exceptional quality I usually choose Aero Precision. They offer excellent precision extremely consistent ISO certified aerospace grade quality in each of their forged upper and lower receivers. Some of their more innovative products are the best ambidextrous lowers on the market, the vault strength COP upper, and their strong and light integrated upper and handguard system. Billet Receivers - The two receiver options I have had zero problems with are the San Tan Tactical and New Frontier Armory. San Tan Tactical is an insanely custom top end set of receivers with every feature imaginable. The are works of art, however all three builds I have completed with these receivers have been beautifully problem free. New Frontier Armory actually makes receivers for a number of other companies including Joe Bob Outfitters, Outbreak Ordnance, and others. My Deadpoole and Spartan builds were both New Frontier based receivers. What I like about these cool looking beefy receivers are that they are priced around the same as standard forged receivers, but are extremely high quality receivers which feature custom extras like threaded detents and bolt release holes and upper/lower tension screws. An amazing custom option which has everything is the Battle Arms Development Overt PDW lower. The PDW is the single most custom billet lower and includes all the BAD custom part and an integrated VERT collapsible stock. The $900 price tag does scare a few folks off. High Quality - A giant leap above standard mil-spec barrels are the high quality aftermarket barrels - some of which can easily deliver sub-1” 100-yard groups with match ammo. Faxon and Ballistic Advantage both make extremely well made barrels. This are not the usual crap barrels, but are instead beautifully finished barrels based on more mainstream AR barrel profiles and sizes. Faxon offers a matched headspaced BCG and barrel combo service to assure the best performance from their barrels and Mil-Spec and Ultra-Light carriers. Ballistic Advantage is partially owned by Aero Precision and has an affordable Modern, enhanced Performance barrels then bleeds into the Premium barrel category with its ½-MOA guaranteed Premium Hansen barrel line. You cannot go wrong with either of these brands. Premium - Black Hole Weaponry (BHW) and Feddersen will both easily deliver sub-MOA groups and both feature unique rifling all for just over $300. The polygonal rifled BHW offer all the finish and cool fluting options you could ever want and always deliver amazing accuracy. Feddersen’s Single Edged Polygonal Rifling is supremely accuracy so much so that I would argue it offers nearly the same performance as Top End Match barrels, but at this point no one retails them. Feddersen .308 and .223 blanks can be purchased from Feddersen, but you need to find a gunsmith to finish them. I am told Feddersen will be selling them directly in 2017. Top End Match - I will never shoot to the capabilities of any super premium barrel, so for me it comes down to quality and there is nothing that is close to the stunning barrel quality of Hart. These barrels are around $600-$700 ready-to-install with custom fluting and finish, but they are museum worthy artful beauty. Just once in your life treat yourself. JP Rifles $480 SuperMatch barrel are amazing as far as accuracy with a supreme fit and finish and even match headspace bolt and barrel sets all for $200 less than the super fancy Hart barrels. The JP are more on the techie side with heat-sinked barrel options that use a lot of engineering and physics paired with supremely well made barrels to deliver a barrel that shoots accurately and very fast. Other top end match barrels blanks are Shilen, Krieger, Broughton, and Rock Creek, however usually they only available in raw blanks and need to be turned chambered and finished by someone like White Oak Precision. White Oak barrels are outstanding as well. I would much rather have a well made black phosphated $90 BCG than a fancy poorly made chrome or Nickel Boron one. 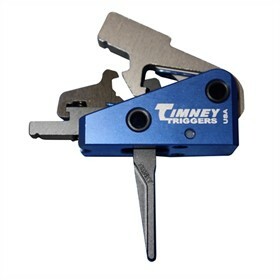 The bolt is the key to accuracy and reliability and the carrier is far less critical assuming it has a decent finish, is straight, has a chrome lining, and is within a function range. I prefer AR15 carriers because they are usually a little lighter than M16 carriers and thus allow the gas pressure to be reduced a bit more via adjustable gas blocks. Spend the money on the absolute best bolt you can afford. In reality there are only about a dozen companies like FN, LMT, Tool-Craft, JP, and BPM in the world who make the intricate and hard-to-machine bolts - everyone else just buys them from one of these companies. Unfortunately a few un-named BCG manufacturers make total crap. Do not by a WTFIT (Who The F is That) carrier. If it does not have a lifetime warranty, do not buy it. 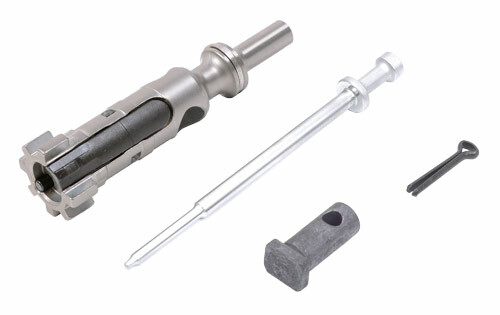 Mil-Spec Bolt - Just buy quality and quality does not come in a $95 complete NiBo BCG. Brownells, Fail Zero, Aero Precision, Daniel Defense, Rubber City, Tool-Craft, WMD, YHM and similar good quality BCGs will work great. NiBo Aero Precision, Fail Zero and WMD BCGs are probably my most purchased of the group. Premium Bolt - The best BCGs are from Sharps, Young Manufacturing, FN, Barnes Precision and JP RIfles and are precision ground and then coated but these are $200-$400 complete BCGs. These are just amazing quality carriers which are tighter and will deliver the best accuracy a premium barrel will offer - if possible have the bolt headspaced to the bolt. White Oak, JP and Barnes all offer this service to assure they the best accuracy possible. One of the best deals on a premium bolt is the $140 JP Rifles EnhancedBolt Assembly Completion Groups which can plug into any standard carrier and include the JP EnhancedBolt, match firing pin, cam pin and retaining pin. Sharps Reliabolt are also exceptionally well made bolts that plug and play with any carrier. Brakes - There are fancy looking brakes and then ones which I feel actually work. My go to favorites are the PWS FSC, Phase 5 FatMan, and Precision Armament M11 Severe Duty Brake which are all still great looking. These are freaking loud as hell, but they deliver a flat and soft shooting rifle. 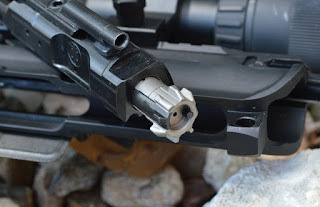 Flash Hiders - Upgrading A2 flash hiders to another flash hider is a waste from my perspective. Unless you go with one of those big long prong looking things from Seekins, I just do not see you are getting a huge benefit. I have used several of the superbly made stainless A2 flash hiders from Innovative Industries which I love. Many of my loud mouthed builds are getting stainless A2 flash hiders instead simply because they are world quieter and more pleasant to shoot. The standard A2 flash hider is one of the quietest muzzle devices around. If you have to upgrade, the cool looking flash hider upgrade is the Precision Armament Hybrid but it is louder. AR15 Pistols/SBRs - Taming the bark - The PWS CQB is from my perspective the best PDW/AR15 pistol brake around. The CQB brake seems to almost magically reduce shooter perceived concussion. Another new little tiny brake that reduces concussion is the STD Simple Threaded Device which is great for short AR15 pistol builds. The various blast shield solutions on the market work well, but not as well as either of these solutions or just a plain old A2 flash hider. AR15 Buffer Springs - First off it is my opinion that buffers and buffer springs should be regular old standard Mil-Spec weight unless you really have some serious issue going on. If there is a need for heavy buffers and springs then you have too much gas pressure and need an adjustable gas system to reduce the pressure. Strike and Geissele both have “enhanced” buffer springs, however I have not tried either. JP Rifles and a couple other companies do have captured buffer spring systems which allow for a lot of tuning on competition focused guns. AR15 Pistols Tubes - Phase 5 Tactical makes the coolest looking billet hex pistol buffer tube on the planet and they are insanely inexpensive at around $50. The Phase 5’s is offered in a full hex and partial hex profile which will accept and extend Sig Brace AR15 pistol type stabilizing braces. If you are building a less expensive pistol build with a wide open standard gas port and cheap barrel and no adjustable gas block, go ahead and add Phase 5’s extra strength buffer spring kit. It will help to equalize the overpressure out. AR15 Rifles Tubes - In order to assure a proper fit between an adjustable stock, I attempt to avoid fitment issues and just purchase complete stock, buffer tube, buffer and spring kits from a single manufacturer. Mission First Tactical is usually my preference for adjustable stocks. The high end Magpul stocks are nice but really heavy. For fixed stock applications I am usually using an Ace stock which accept standard A2 buffer tubes. MilSpec Replacements - ALG ACT, WMD, and Hiperfire EDT are by far the best drop in MilSpec duty trigger upgrades I have found. The do not offer match grade pull but they do break extremely crisp for a MilSpec replacement and are 200% better than stock triggers. Match - There are so many outstanding triggers on the market I do not think that anyone can go wrong. Geissele, Timney, CMC, Hiperfire, JP, and LMT are all really incredible triggers which deliver premium trigger feel. For “the look”, the flat triggers from Geissele, Timney, CMC and Hiperfire really make a build stand out, but I don’t think the flat trigger really offers a performance enhancement. I stay away from “me too” triggers that imitate the originals. Standard - Barnes Precision, CMMG, and ALG all have high quality base kits. My preference is always Barnes Precision just because I have been in his shop and seen each of these parts being made. I do like the YHM quick pull and Strike pivot pins which are very reasonable. Strike and Seekins offer a number of fun very inexpensive add on billet parts. Strike Industries has a lot of really innovative, high quality, and fun billet add ons including Black, Blue, Red, and Grey color schemes. Premium - KNS, Battle Arms Development, and V Seven offer top and parts. KNS have stainless options, BAD offers a ton of style and functionality and V Seven has titanium options to upgrade all the usual phosphated parts. V Seven and BAD are probably my two premium lower parts I migrate to often. Upgraded - Magpul, Strike Industries, and MFT all make excellent grips. To be perfectly honest, I use whatever I have or is on sale. I do loathe finger grooves though. Consider reduced angle grips for AR15 pistol and SBR builds for improved comfort and less pressure on the wrist. Custom - I chop and stipple a lot of $5 standard MilSpec grips and then wrap in paracord. For me, these are the best grips on the market and cost me about $6 in parts. For AR15 pistol builds I like to chop the custom or aftermarket grips down to a very short two finger hold to make for a more compact pistol. Billet - I have seen, handled and shot some of the billet and G10 AR15 grips, however they are really heavy and not particularly comfortable. They look amazing but are pretty parts for safe queen rifles, but for a gun to shoot stick with plastic. Fixed - Ace and Battle Arms are the only fixed buttstocks that I have tried and really like. The Ace stocks are insanely affordable, offered in Ultralight, skeleton, and heavy duty Socom versions and are easily custom wrapped with paracord. Collapsible - Magpul, Troy, MFT, Strike and Mako are all great brands, however if I cannot get a complete kit including the buffer tube, then I know I will end up cycling through half a dozen buffer tubes to find one that actually will fit tight. The best add on buttstock on the market is the Rogers Buttstock simply because it has an adjustment nut and cam-lock which makes the lockup rock solid regardless of the buffer tube size variances. Extra Compact - MVB is the best SBR stock on the planet. All the others are not even close from an ergonomic perspective and durability. For example - I have a Troy collapsible stock which frankly I hate and find it hard to deploy. The MVB stock delivers extreme durability with outstanding ergonomics and functionality. I have tried others and so far the MVB is the only one I would lay my own money down for. Folding Adapter - The Law Tactical is THE accessory for the AR15 pistol. If you do not add one on a shorty AR15 pistol build then you are missing out of an amazing backpack gun and 90% of the functionality of the AR15 pistol size. Adjustable - Seekins are super inexpensive and work great. A premium option are Superlative Arms venting gas block or SLR industries adjustable gas blocks. Fixed - It really does not matter they are all the same. 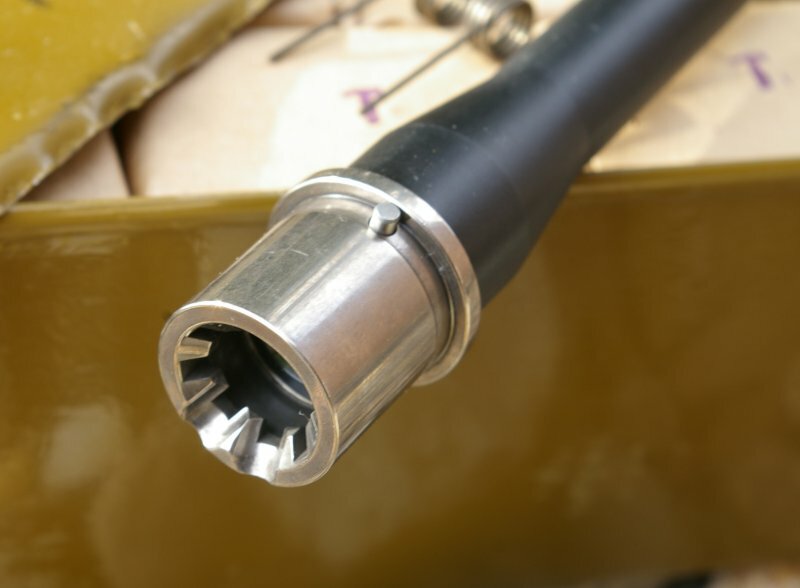 If I have chosen a Ballistic Advantage Hansen barrel they come with a fixed gas block and tuned gas port… just something to think about. Retrofit Gas Piston - Syrac Ordnance was making them for a while, but I am not sure what is happening there. I do know that Superlative Arms, their patent co-owner, is making a freaking awesome Retrofit Gas Piston system which fits under nearly any standard profile handguard. I love both of the builds I have done with the Superlative Arms piston kits. Billet - Credit where credit is deserved, Barnes Precision Machine invented/Innovated the long non-indexing barrel nut for billet free-float handguards which pretty much everyone making a good highly rigid handguard imitates to some degree. The extended barrel nut provides more surface area and strength once the handguard is attached. The only handguard which is as strong as the Barnes handguard system is the Geissele Super Modular Rail. SLR, Geissele, ALG, and a few other companies make handguards with long non-indexing barrel nuts. The price is awesome on the ALG, but if you can afford it, the Geissele and Barnes are the top and in my opinion. One of the coolest looking Billet Hanguards are the Apex Gatorgrips. Fancy - Brigand Arms and Clark are what I go for when I want over-the-top looks paired with extremely light weight. If you want Thor-like strength in a carbon fiber handguard then the only option is the combat proven Primary Weapons offerings which is designed for high strength to leverage the heat wicking capabilities of carbon fiber. Optics are both tough and easy. Finding a awesome optic cheap is tough and conversely if you have money to spend, top optics are easy to come by. In that $200-$400 range there are plenty of Leupolds, Hi-Lux Leatherwood, Millet, Nikon, Burris, Bushnell, Lucid, and Vortex optics to choose from. From a features and optic clarity perspective I think Nikon’s AR line and Primary Arms scopes are an extremely great value, but I plenty of all the other noted brands as well. On the high tier, my perspective is that you get what you pay for from the big optics names. I will say the top end Vortex, Sig, Bushnell and Burris are very impressive. One of the single most impressive optics I have ever used is the $4400 Tangent Theta 5-25. If you have money the quality can be easily found. Best inexpensive Red Dots are - well there are a couple. Primary Arms, Hi-Lux, Vortex, and Holosun are all great options. Primary Arms MicroDot at $169 is truly and exceptional 50K hour red dot. 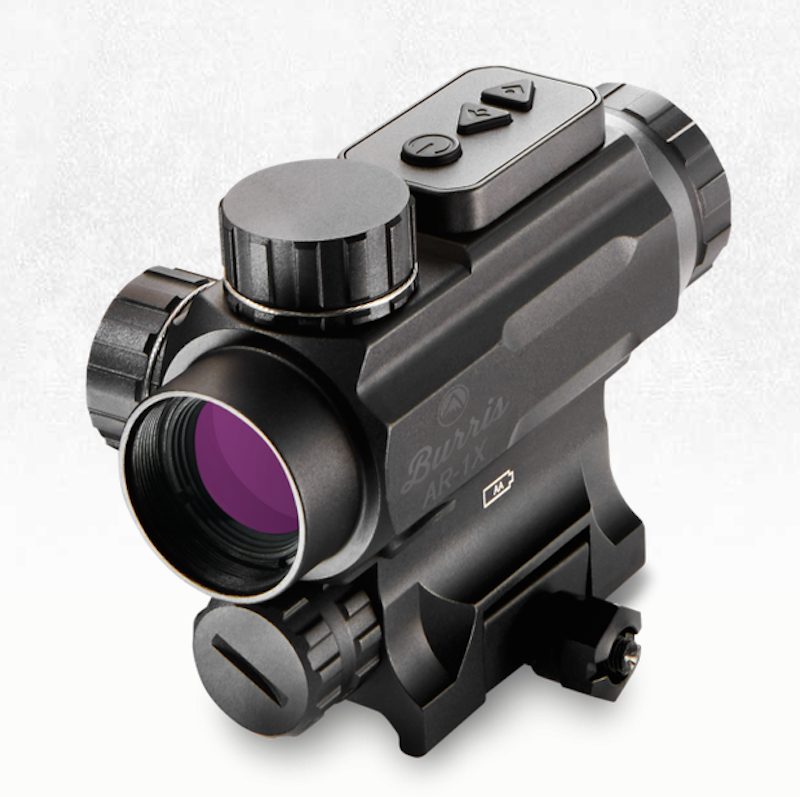 The Bushnell TRS-25 and Primary Arms standard $90 red dots are fantastic for the price. The Hi-Lux, Vortex and Holosun offer upgraded features and quality. My consistent advice is for a 1-4 magnification on AR15 builds which delivers everything realistically a shooter will use a rifle for. Now that I am aging and my eyes need a little help, I love 1X prism sights from Burris and Vortex since the ocular can be tuned to my marginally out of focus eyes - a simple red dot will not deliver this feature. Since we are talking about AR15s, I will omit the rather lengthy list of precision rings prefered for my bolt action precision rifles in favor of more typical AR15 mounts. 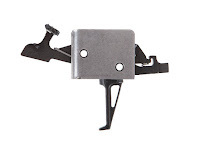 Fixed Mount - There are a lot of ring options out there, but I believe the single integrated Aero Precision mounts are strong, precision and stunning when paired to an AR15 flattop receiver. The AP scope mounts are so well designed that they actually give the appearance of a monolithic upper integrated mount. Really beautiful. The other similar high strength mounts are the Geissele Super Precision mounts. QD Mount - For a hard use re-zeroable optics mount there is no other equal other than American Defense Manufacturing (ADM). They even make these mounts for many other red dot optics as well. A nice QD mount option for the price is are Sampson QD mounts which are all under $200. For a bit less money, the Samson QD mounts offer excellent Aimpoint T1 Micro compatible mounts that will work on most red dot optics. High Precision Mounts - American Precision Arms or the new line of Geissele Super Precision Mounts would really be my only choices if I was consumed with accuracy. Metal - I know most people feel aluminum or stainless mags have been superseded in every way by polymer, however I like the retro look of the old style metal mags on a lot of builds. The $40+ E-Lander are the Cadillac of metal mags, but the Brownells or OKAY mags are also on the premium side and function flawlessly. Polymer - There are a ton of mags on the market and a lot of newcomers in the polymer market and I am happy to say most are outstanding. That said based solely on those brands I had a problem with and those brand I didn’t, my choice has to be Magpul or MFT. If I have a problem, I slip in one of these mags to assure the mag is not the issue since I have proven their reliability in across all builds. There are so many products out there and most are really quite great, however over the years you get a bit jaded and start picking favorites based on what makes things easy, reliable, full featured, and delivers “the look”. Hope this helps you make some decisions for future problem-free AR15 builds and upgrades. I just have to say, you have helped so much with these tips and suggestions. Choosing parts for an AR-15 is a world of KRAZY but your blog is GREAT, VERY WELL WRITTEN AND YOU KNOW WHAT YOU'RE TALKING ABOUT.